Jul 16, 2018 at 11:52 AM | 128 Views | Last edit Jul 16, 2018 at 11:53 AM 2 rev. 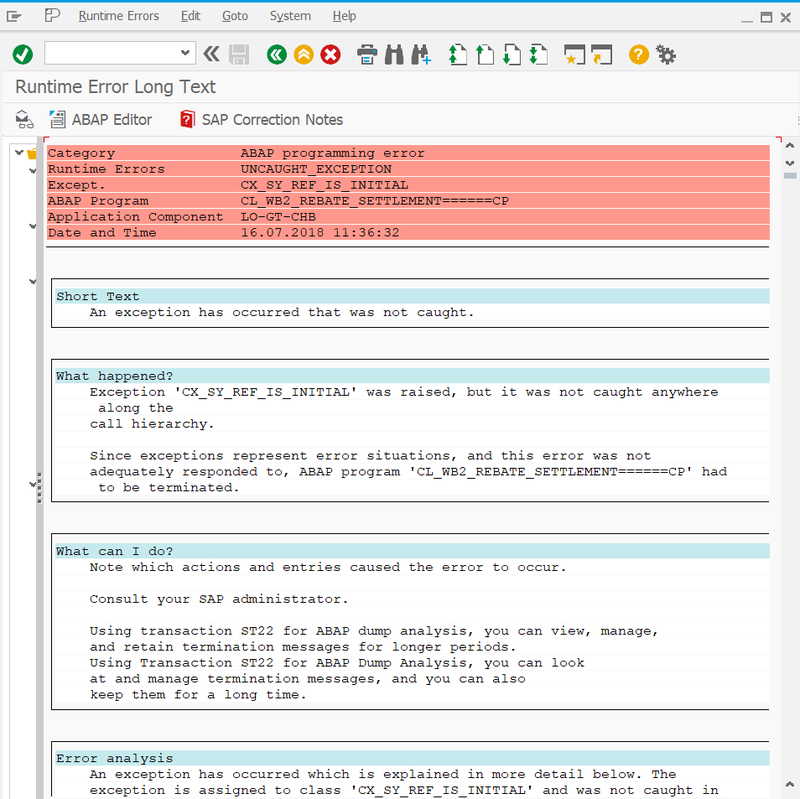 I followed the Blog on SAP.com for Settlement Management and when I execute tcode "WB2R_SC" I get a runtime error. I dont know if it depends on what I filled in the condition contract with condition contract type "SBBI" When I create a condition contract with condition contract type "0S01" and execute it with WB2R_SC no runtime error displays. Does anyone know what I did wrong or has some information material ? Thankful for answers. Im new. In case it doesn't solve the dump, could you please attach a screenshot about the source code?